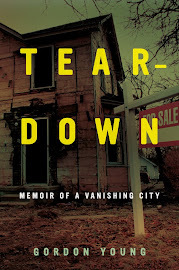 "Nearly 40 years ago, Carol Hart sat in a car outside the former Dort Motel, listening to the gunshots that would ultimately kill one man and paralyze another. "Hart, who was 22 at the time and living near Millington, drove away before she could hear or see any more. Still, prosecutors charged her in 1969 because she was, after all, driving what was supposed to be the getaway car in the robbery turned murder of motel owner Leonard Smith. "After pleading guilty, she spent only a year of her 25-35 year prison sentence for assault with intent to rob while armed before escaping the now defunct Detroit House of Corrections, a women's prison in Plymouth Township, by simply walking away. 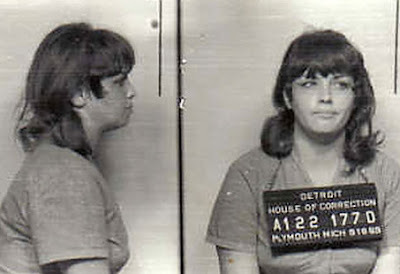 "After 38 years on the run -- changing her identity and crisscrossing the country from Florida to Nevada to North Carolina and finally back to Michigan -- Hart was captured Wednesday afternoon in northern Michigan." Hart's certainly not the first person to evade capture for decades. Willie Carroll Parker is just one other fascinating example. Should Hart, now 61 and happily married, go back to prison?